Taking a practical, hands-on approach to entrepreneurship, this text equips students with the tools and critical thinking skills they need to position themselves for enduring small business success. 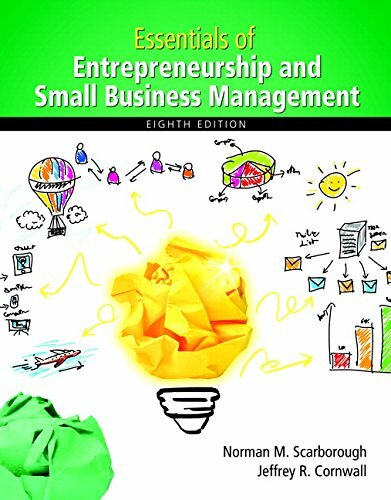 Now in its Eighth Edition, Essentials of Entrepreneurship and Small Business Management teaches students how to successfully launch and manage a small business with staying power. By dissecting case studies, examining successes and failures in the context of the market, and observing the tactics used by today’s most successful small business ventures, a diverse set of students can develop potent business acumen in the classroom. These skills give them a unique advantage in a hotly competitive environment, transforming their passion, creativity, and ambition into the force that drives the world’s economy. Essentials of Entrepreneurship and Small Business Management contains a multitude of student- and instructor-friendly features, almost all of which have been updated in this new edition.